San Diego is known for museums, zoos & aquariums, beaches, parks, and historic sites. Your plan includes some of its best attractions: admire nature's wide array of creatures at San Diego Zoo, admire the majestic nature at Torrey Pines State Natural Reserve, and let the kids burn off some steam at Balboa Park. To find maps, traveler tips, and more tourist information, read our San Diego trip planner. New Orleans to San Diego is an approximately 6.5-hour flight. You can also drive; or take a bus. Traveling from New Orleans to San Diego, you'll gain 2 hours due to the time zone difference. Traveling from New Orleans in May, San Diego is little chillier at night with lows of 61°F. Cap off your sightseeing on the 28th (Tue) early enough to travel to San Francisco. San Francisco is known for nature, museums, nightlife, shopping, and childrens museums. Your plan includes some of its best attractions: snap pictures at Golden Gate Bridge, get curious at Exploratorium, examine the collection at de Young Museum, and admire the natural beauty at Japanese Tea Garden. 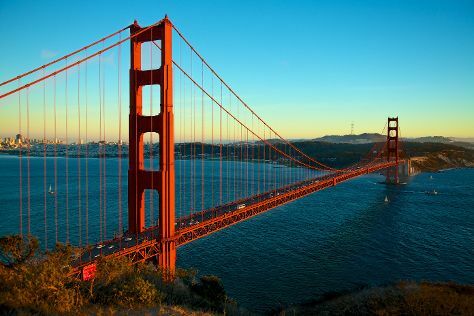 To see photos, where to stay, and more tourist information, use the San Francisco trip planner. Traveling by flight from San Diego to San Francisco takes 3.5 hours. Alternatively, you can do a combination of flight and train; or drive. Traveling from San Diego in May, San Francisco is slightly colder at night with lows of 53°F. You will leave for home on the 31st (Fri).